October is always a good month for traveling within New England, and this past weekend (a long weekend!) was no exception. Barbara agreed to a mini-vacation that focused on railroad museums in Connecticut, so off we went, intending to visit four out of the five major railroad museums in that state. 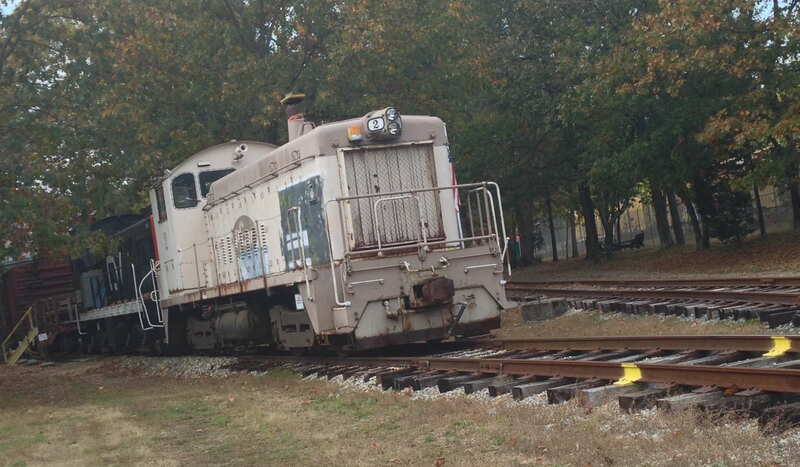 (We had already been to the Shore Line Trolley Museum in a prior year.) We ended up skipping our intended fourth museum (the impressively named Railroad Museum of New England) because at that point it seemed redundant. We had a good time, however, at the other three — along with a truly excellent dinner at the Barcelona Restaurant in West Hartford. OK, first things first: what did we eat at the Barcelona? We ordered six tapas, figuring that that would be about right — but in the middle of dinner a server who was not our own brought us a complementary tapa of albondigas, so we ended up with seven. Even six would have resulted in leftovers, so we had plenty to eat the next day! We ordered (and happily consumed) a combination of gambas al ajillo, chorizo with sweet and sour figs, jamon croquettes, eggplant a la plancha, mushrooms a la plancha, and lobster fideos. The energy level was very high — it was Saturday evening on a long weekend, after all — with an average of 20 or so patrons waiting to be seated at any point during our time there. Presumably none of them had made reservations, so we were glad that we had done so. Oh — I almost forgot — the waiter twisted my arm and made me order churros y chocolate along with a double espresso; it was painful, but somebody had to do it. Now…back to the museums. 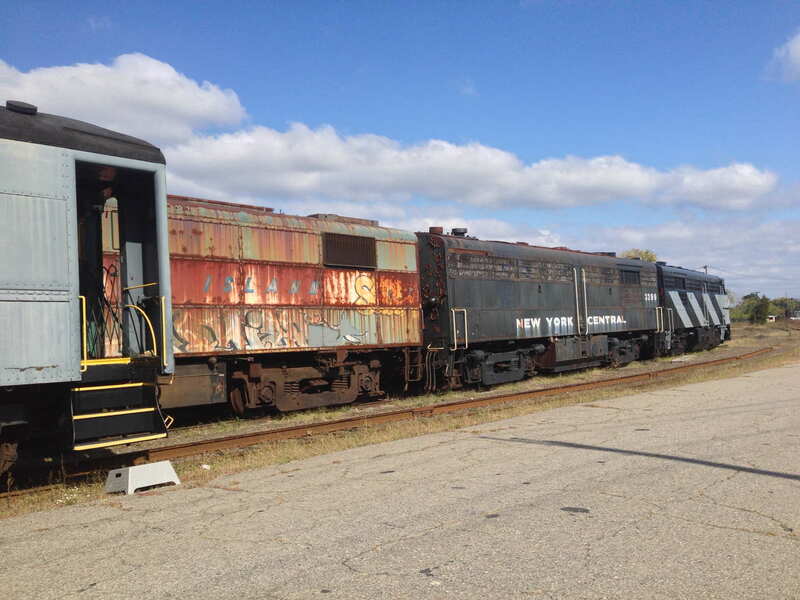 Our first visit was to the Connecticut Trolley Museum, in East Windsor, which was well worth seeing. It featured a wonderful collection of vintage trolleys (streetcars, railroad cars, interurbans, etc. 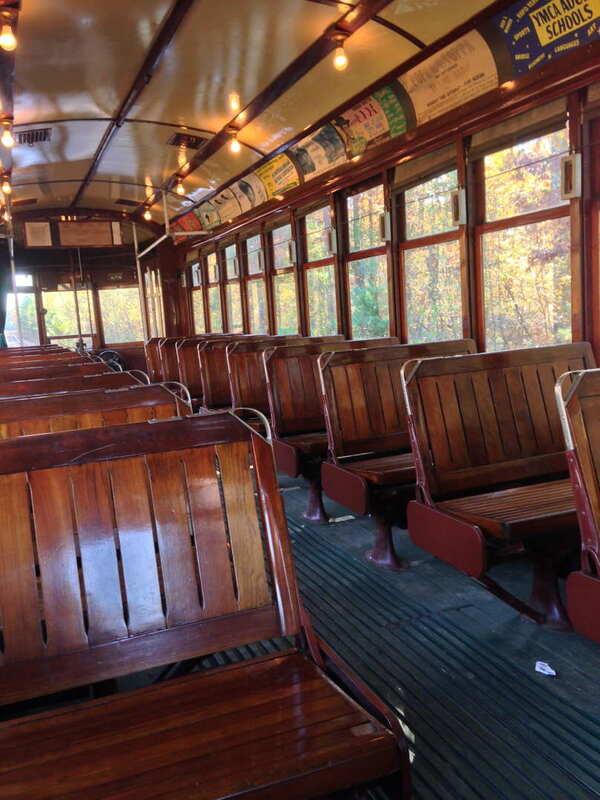 ), a real ride on a restored 1922 trolley from New Orleans, a great exhibit of fire fighting apparatus, and a dated but fascinating film about the history of trolleys and related public transit. The trolley ride “featured” a stop at a fake pumpkin patch where kids could get small (but real) pumpkins; Barbara and I stayed on the trolley and talked with the geeky (what a surprise) guide/driver, who told us everything we could possibly want to know about the trolley and its operation. Our second museum was, shall we say, a work in progress. 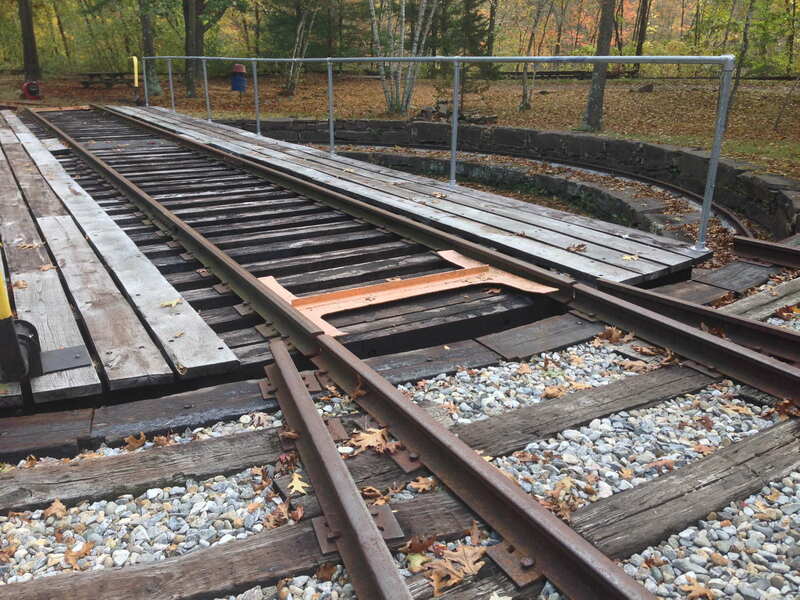 The oddly named Connecticut Eastern Railroad Museum, in Willimantic, seemed not quite ready for prime time, even though it has a reasonable website and has been around for years. 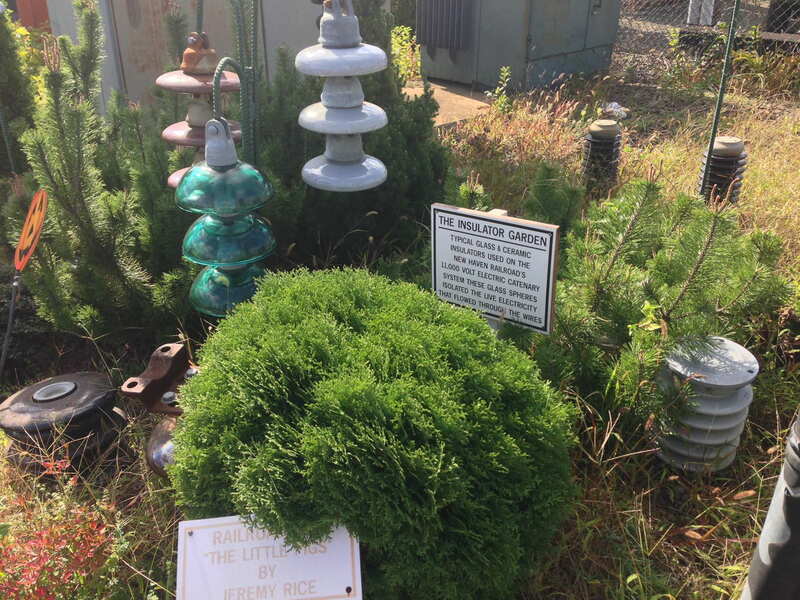 In the first place, it was difficult to find, being located at the end of a long unpaved and unsigned road off a regular town street. Then the place was nearly deserted, with three volunteers and one other pair of visitors there. Then it turned out that the rest room was a port-a-potty and the gift shop was a trailer. Although they did have some interesting stuff, including a beautifully rebuilt roundhouse and a functioning turntable, it all looked like they weren’t yet open for business. There was, however, a volunteer who was even geekier and even more knowledgeable than the trolley driver at the previous museum, so I found it worthwhile even if Barbara didn’t. 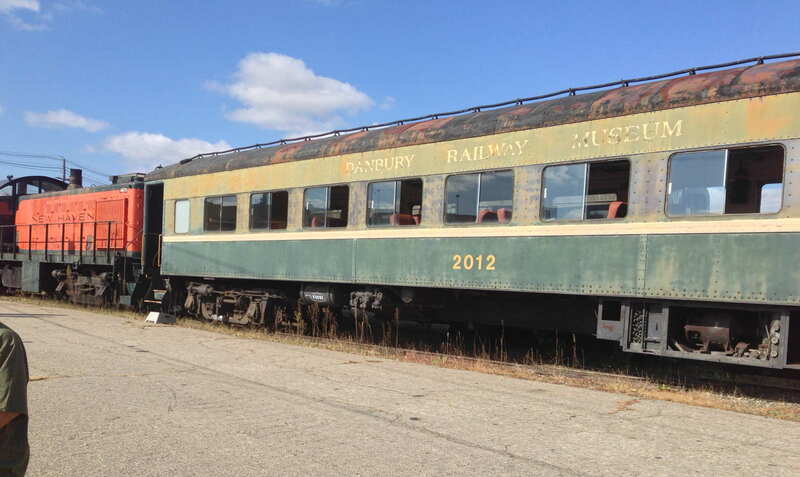 Finally, in stark contrast to the previous museum, came the Danbury Railway Museum. Even though this one provided yet another trip to a fake pumpkin patch, again with real pumpkins for kids (as did the fourth museum that we didn’t bother visiting), it was unusually rich in its offerings. This time we actually got off the train for the pumpkin patch, enjoyed the fine weather, and had cider and cookies. 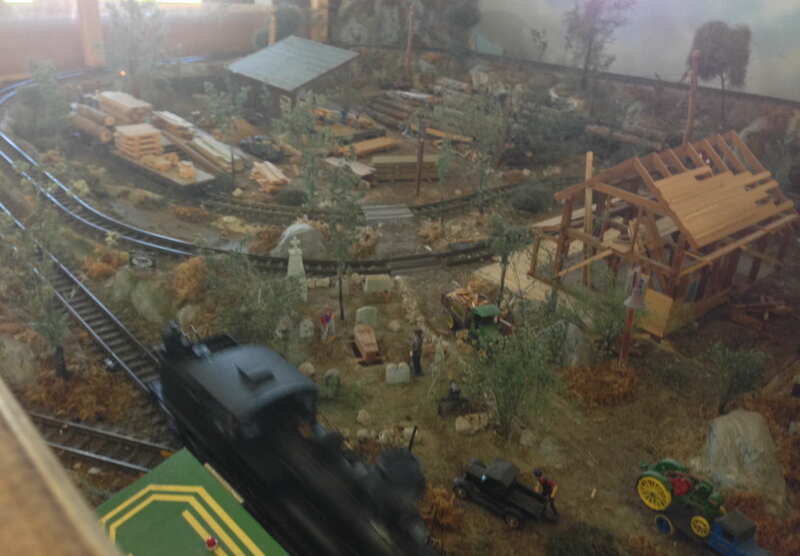 The museum featured a large number of vintage and modern trains, as well as several model railroad layouts. And there were literally hundreds of visitors. Highly recommended!